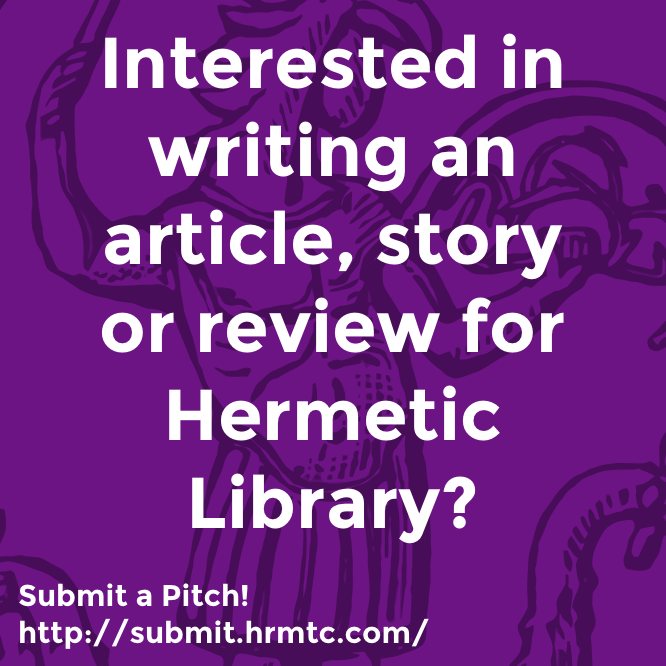 … it would probably look a lot like the Hermetic Library Fellowship Program, or, rather, what that would be if more fully developed toward what I hope that project will become. And, I’ve been meaning to write more about my ideas and aspirations for the Fellowship Program, so I just might actually do this, even if it’s only in theory for the most part. Recently, you may have noticed, Jeffrey Kupperman, of Journal of the Western Mystery Tradition, posted a series: “If I were to form a Rosicrucian Order …“, “Why I’m not Starting a Rosicrucian Order” and finally, even after he posted the image of a lamen suspiciously like something for such a thing, “I Did Not Start a Rosicrucian Society“. Likely inspired by this Anthony Silvia, of Gnosis NYC and the Talk Gnosis podcast, posted “I Am Not Forming an Open Source Order of Martinists …“. Here’s my sense: Rosicrucianism as described in the source material is simply a group of people bonded together by a brief code to be of service to humanity and to develop and preserve certain esoteric knowledge. All of the oft associated structural and dogmatic cruft is either imported from the wider Western Esoteric Tradition during the 17th Century’s Rosicrucian Enlightenment, or accreted during the Victorian and Edwardian period of development by Freemasonry of the Rose Croix degree within Scottish Rite and SRIA/Golden Dawn style syncretic Hermeticism. The literary Rosicrucians of the Fama and Confessio are really quite simply organized without much of anything by way of necessary dogma. Anyway, the whole highly-structured fraternal and/or teaching order thing has been done and done and occasionally “stick a fork in it” and, even, sometimes “can we bury it now because it is starting to smell.” Many still exist, so why start another one just like something already done? If you want to get involved in one of these, let me commend you to a few excellent organizations, about which I can personally vouch more or less, OTO [also], A∴A∴ [also], Golden Dawn [also, and] … and so on, YMMV. Keep your wits about you and do your own research. Instead, I would focus on starting from the barest and most minimal interpretation sufficient and necessary. I would be inspired primarily by what the Fama and Confessio say about the Brotherhood of the Rosy Cross, and some few later developments such as Joséphin Péladan’s Salon de la Rose-Croix; and, some few indirect inspirations like Benjamin Franklin’s Junto [also], Utne‘s Salons: The Joy of Conversation, my own dialogical work, and so forth. However, for me, the temptation to develop complicated and convoluted structures is strong and therefore something to strongly avoid. Although I am trying to adhere closely to the simplicity demonstrated by the model of the literary evidence, I am clearly going to eject certain elements. For example, no one will need be German, a Crusader, or even Christian. Nor need one be directly connected to some lineage, order or other organization. Members will also not be required to conform to some such period customs like drinking warm, non-carbonated German beer from tankards made from lead-laced pewter. 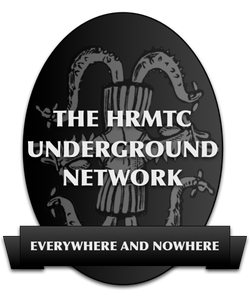 If I were to start a Rosicrucian group … it would be a bit of salon, communitarian and egalitarian, for students and scholars, and very likely organized in support of the mission of the Hermetic Library. The group would occasionally meet in person, but connect frequently via modern communication tools and perhaps a private forum. Like a Junto, the group would be dedicated to inquiry and self-improvement; with members providing a weekly summary of some interesting developments to share with the group as well as offering longer form presentations quarterly. I imagine a small group of people, each dedicated to some particular theory and practice. Each would have a personal practice of some kind and they would be engaged in some project to present esoteric thought in service to the larger community, and I imagine that these presentations would be done through Open Access [also] repositories of articles collected in sub-sites for each fellow at the library and also made available via the blog and journal. There would be no initiations or other accouterments of the Victorian esoteric or pseudo-masonic orders, but there could be shared rituals. I have in mind here the observation made by Ronald Hutton in The Triumph of the Moon: A History of Modern Pagan Witchcraft that without unifying dogma it is the shared rituals that maintain the neopagan community. There may be some shared rituals or practices to help group cohesion, synchronic and diachronic links between members and the collective, including some expressed when apart and some when gathered. Membership in the group could follow this idea somewhat like the master and apprentice relationship between Jedi and Sith, including the idea that the apprentice only takes the place of the master upon that person’s death, though hopefully without the Sith’s Rule of Two custom of fragging! Within the literature, generation two doubles membership size to generation three, so there is a suggestion that at some time the ranks of the group could be allowed to double, or at least that is something to consider if it ever comes up that members have found a number of suitable potential members to justify growth. Or, instead of setting a rule about this, the group could simply welcome new fellows as they are welcomed to the library site, while helping that process with suggestions and outreach. In spite of the rule about not being constrained to wear any particular habit, it’d be nice to have some kind of way to identify each other when necessary. Even if that were something similar to and as simple as the shock of red against one’s fashion adopted by Rêveurs, described in Erin Morgenstern’s The Night Circus. But, perhaps this would be a choice made in the moments when necessary, such as prior to any meeting. The organizing principles of the literary Brotherhood of the Rosy Cross are enumerated in just six explicit rules, though there are within the literature other obvious organizing principles, such as that of each member maintaining and developing volumes within the order’s Philosophical Library. This last I would interpret as members participating in both theory and praxis around topics that suit them and their interests, and that they are involved in the preservation and presentation of that information; clearly suited to the overall mission of the Hermetic Library. 4. Members should cultivate relationships with other students and researchers who might be suitable for membership in the group if such openings become available, but in any case, who may interested in participating in the various projects at the library. 5. There should be some identifying insignia or symbol to represent the group, and members should make known their involvement in the group. 6. The group would maintain the privacy of members and their details, in accordance with the general principle of not revealing anything about another that they have not themselves made public; including personal details and details about their studies and research. At this point, one might wonder what makes this specifically Rosicrucian, as opposed to simply a group of people engaged in and organized around esoteric study. To this I would simply elaborate that the group is inspired by the principles of human perfectibility through esoteric study and practice along the lines of the Rosy Cross formula of the Great Work, about which plenty more could be said. However, I think this notion is one that might need to be expressed explicitly for the group to be Rosicrucian. Although, it could also be left unexpressed, and the group could simply be inspired by the model provided by the literary Rosicrucians and this could instead simply be the Hermetic Library Fellowship Program more fully developed, much as the Invisible College and the Royal Society were inspired but not fully constrained by the notion of a network Rosicrucians. “I … form’d most of my ingenious acquaintance into a club of mutual improvement, which we called the Junto; we met on Friday evenings. The rules that I drew up required that every member, in his turn, should produce one or more queries on any point of Morals, Politics, or Natural Philosophy, to be discuss’d by the company; and once in three months produce and read an essay of his own writing, on any subject he pleased. With this in mind, I would like to have a group of core people who are actively presenting information of interest not only to themselves, but also to the audience of the library. This means helping to develop content for the site, and related social media. 1. Have you any particular disrespect to any present members? Answer. I have not. 2. Do you sincerely declare that you are dedicated to the Great Work in service to humanity? Answer. I do. 3. Do you think any person ought to be harmed in his body, name, or goods, for mere speculative opinions, or his external way of worship? Answer. No. 4. 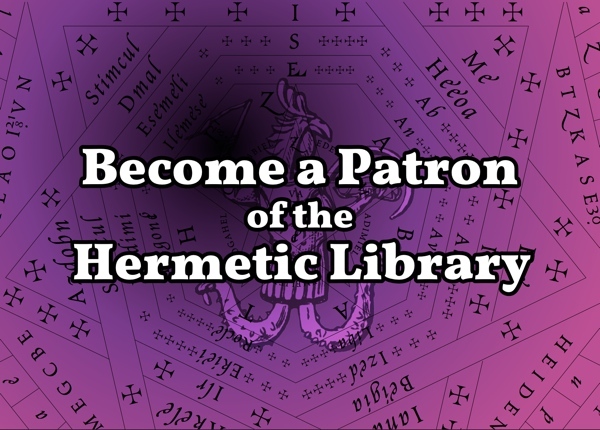 Do you support the Hermetic Library and will you endeavor support its mission yourself, and share information about and via the library to others? Answer. Yes. The group might also generate a series of ongoing questions to guide their inquiries, and make those part of the set of customs for the group. Inspired by Joséphin Péladan’s Salon de la Rose + Croix, ignoring for the most part his overall Mystic Order of the Rose + Croix movement, I would personally would enjoy this more if there were effort to promote esoteric arts and culture, and, like the original, developing actual Salon de la Rose + Croix events could be part of the praxis of the group. Obviously, this is something that I try to do with the various participatory pools at the library (such as the audio, visual, video and arts and letters pools) as well as within the Anthology Project through the Hermetic Library Albums and Hermetic Library Journal. And, to no small extent, this is one of the motivations behind the idea of a Hermetic Library Reading Room, as it exists in my imagination and also on the library blog. So, maybe I’m starting to import my other existing projects into this idea, which can and perhaps should remain separate. T Polyphilus has the personal practice of writing something about each book he reads, as he says, “on the principle that if I have nothing to say about something, I can hardly justify the effort to read it in the first place.” I could imagine that it might be good for members of the group to also take up this practice, and that these reviews, like those by T Polyphilus, would be made available via the blog. I recognize that there may be need for more structure to function, and I’d propose that the group keep track of the set of organizing principles, the necessary and sufficient structures, and also a set of customs, the agreed upon additional behaviours. Generally, for this discussion about organizing principles and customs I’m going to use terminology imported from Peter Suber’s Nomic. At the core, I would would begin at Nomic rule zero, that all participants must agree to the rules. Organizing principles would be Nomic immuntable rules. Customs would be Nomic mutable rules. The organizing principles and customs would all be subject to self-ammendment, but always subject to the necessary and sufficient cohesion of rule zero. I also propose an even more primary rule, which I’ll call rule i (imaginary unit), which represents the simple observation that all rules have a scope of real effect, beyond which they are meaningless, in other words rules which attempt to legislate delusions or absurdities are self-evidently meaningless and without need to attempt they be enforced. I see this last as a guard against the group trying to legislate overreach beyond its own self-governance. Recognizing that so far I’ve talked about this idea being tied closely to the library, there’s two alternate directions one might take in modifying the idea: more or less meta. For a less meta alternative, the group might simply be something like a “Friends of the Library” organization; but it would seem a bit presumptuous of me to start my own friends group, and it might be a bit duplicative of the options I already provide for people to show support for the library in a variety of ways. A more meta alternative direction would be to understand that all the specific references to the Hermetic Library and related projects are my particular projects, but that a group could be formed for mutual support and improvement between like-minded site owners who have projects of their own, sites and blogs; a kind of association of project owners. This last reminds me of the point that there appears to be no particular organization or association around esoteric venues, an example of one such is my speculative Reading Room; but that there may be a lot of sense in having some way for people doing similar things, running or planning such venues, to communicate, share and support each other. I’m sure there’s plenty more that could be written about this, but as a final note I think I’ll mention that one thought that has occurred to me is that others might create similar organizations as what I imagine. I’ve always had in mind that the work I do to post on the various social media platforms and so forth is really about trying to encourage people to engage with the materials on the site. So, I could imagine that there might be groups of people who form themselves around their own research and study related to the library. I can also imagine that groups like this might offer information about what they’ve been up to on some regular basis, such as monthly, and I might then post about these presentations and research so that they are available to others as well. Obviously, there’s no real reason why groups of students would necessarily organize around the library and participate in this idea in particular, but, it’s a thought that came to me in a kind of daydream. This entry was posted in The Hermetic Library, The Opinion Pages and tagged Anthony Silvia, benjamin franklin, Brotherhood of the Rosy Cross, Confession Fraternitatis, cruft, edwardian period, Erin Morgenstern, esoteric knowledge, expressions, Fama Fraternitatis, fellowship program, freemasonry, golden dawn, hermetic library, Hermetic Library Fellowship Program, Hermetic Library Reading Room, imagination, in other words, initiation, Jedi, Jeffrey Kupperman, Joséphin Péladan, open access, pagan community, peter suber, Philosophical Library, presenting information, ronald hutton, rose croix, rosicrucian order, rosicrucian society, rosicrucians, rosy cross, salon, scottish rite, Sith, social media, Societas Rosicruciana in Anglia, source material, syncretic, truth, Utne, western esoteric tradition, western mystery tradition on March 31, 2013 by John Griogair Bell.